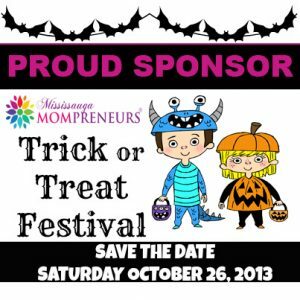 We are excited to announce that we are a sponsor for the Mississauga Fall Trick or Treat Festival being held at The Living Arts Centre in the heart of Mississauga on Saturday October 26th, 2013 from 10am-4pm. There will be halloween games, face painting, treats and meet/greet with a Superhero and Princess. This is a free event! Save the date! More details to follow!